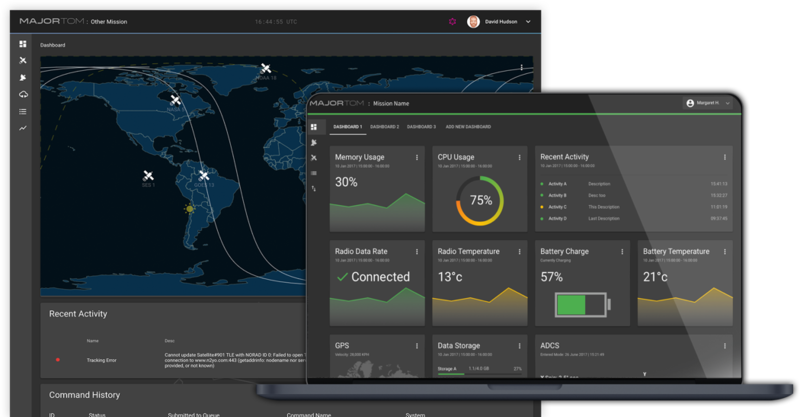 Alongside Kubos, we collaboratively designed and developed cloud-based mission control software from the ground up (to the sky). Meet Major Tom. It intelligently displays satellite data so operators can do more than just note satellite metrics – they can see the entire picture. 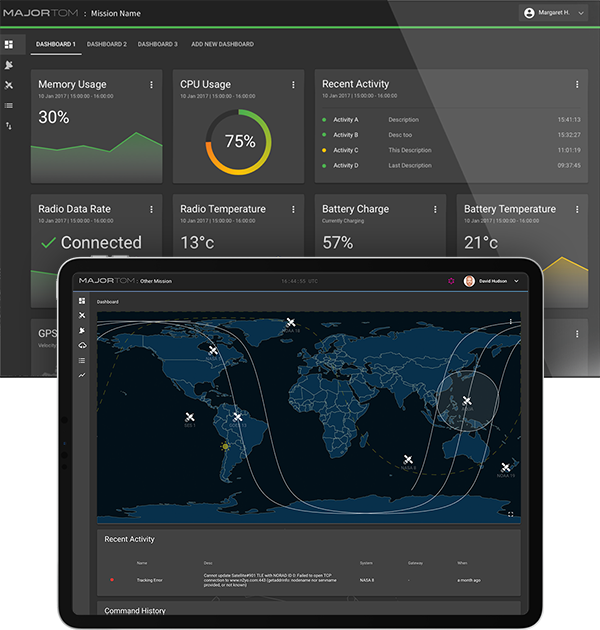 Major Tom provides real-time satellite tracking with multiple viewing angles, as well as telemetry data tables which help read information from the satellites. We also optimized Major Tom to be extremely customizable so that operators can hone in on what they most care about. We leveraged the power and simplicity of cloud technology to provide a modern user experience for the final frontier.